On January 19, 2019, His Holiness Patriarch Mor Ignatius Aphrem II celebrated Eastern Epiphany Holy Qurobo at Jordan River in Jordan. It is the first time that the Syriac Orthodox Patriarch of Antioch and All the East celebrates Epiphany Holy Qurobo at the very place where our Lord Jesus Christ was baptized on the Jordan River. His Holiness was assisted by His Eminence Mor Timotheos Matta Al-Khoury, Patriarchal Vicar for the Patriarchal Archdiocese of Damascus, in the presence of Very Rev. Raban Benjamin Chamoun, Parish Priest in Jordan, and the reverend priests, monks, deacons, and a large crowd of the Syriac Orthodox Church in Jordan. His Eminence Mor Dionysios Issa Gurbuz, Patriarchal Vicar in Switzerland and Austria, Very Rev. Raban Gabriel Dahho, Patriarchal Vicar in Jerusalem and Jordan, as well as a crowd of the faithful of the Syriac Orthodox Church in the Holy Lands, also participated in the Holy Qurobo from the other side of the river. During the Qurobo, His Holiness made the special rite and procession of Denho. 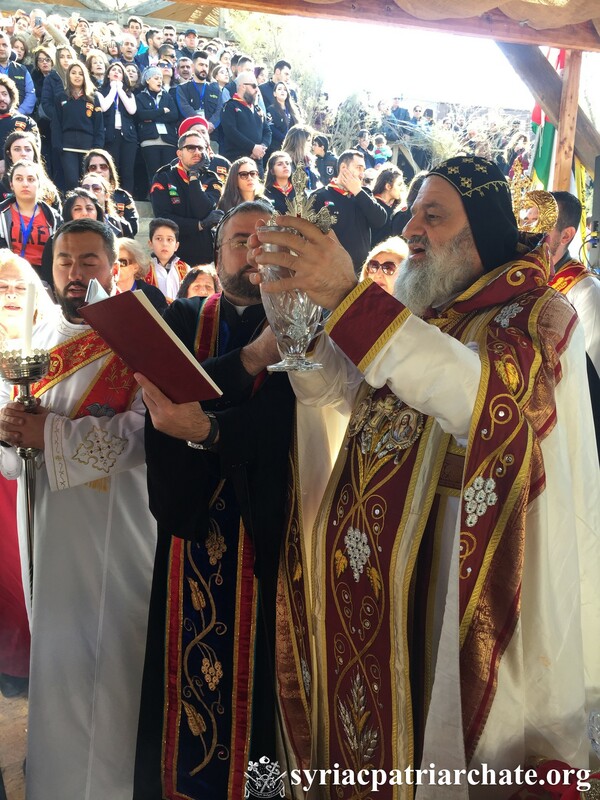 He then offered his greetings and blessings to all the faithful present, expressing his extreme joy to celebrate the Holy Qurobo at Jordan river, especially that it is the first time the Patriarch of Antioch and All the East celebrates the Qurobo there. At the end, His Holiness visited the place where St. John the Baptist Syriac Orthodox Church at the Jordan River will be built in the near future.